Infectious disease caused by bacteria such as Bacillus subtilis, Escherichia coli, Pseudomonas aeruginosa and Staphylococcus aureus is a major public health problem in many developing countries. In recent years drug resistance to human pathogenic bacteria has been commonly reported from all over the world. Plants have been used for centuries to treat infectious diseases and are considered as an important source of new antimicrobial agents. The anti-microbial activity of different solvent extracts of Dodonaea angustifolia and Clerodendrum phlomidis against Bacillus subtilis, Escherichia coli, Pseudomonas auergonisa and Staphylococcus aureus was studied. Dodonaea angustifolia and Clerodendrum phlomidis were collected from the surroundings of Piranmalai hills. The shade dried plants leaves were pulverized to get a coarse powder. Since the solubility of the powdered extract is not known, its solubility was checked in different solvents with varying polarities. The evaluation of antibacterial activity for different solvent extracts of Dodonaea angustifolia and Clerodendrum phlomidis was carried out using the agar well diffusion method. Results revealed that the ethanol extract of Dodonaea angustifolia and Clerodendrum phlomidis showed maximum zone of inhibition compare to other solvent extracts. Antibacterial activity of different solvent extracts of Dodonaea angustifolia and Clerodendrum phlomidis were statistically significantly (P<0.05). The present investigation thus elucidated the anti-microbial potential of Dodonaea angustifolia and Clerodendrum phlomidis which could be used to combat microbial infections in mankind. From time immemorial it is the plants that served as therapeutic agents to cure the diseases which invaded human beings. At present the utilization of phytochemicals from various plants for medicinal purposes has steadily increased in numerous countries. As indicated by World Health Organization (WHO) therapeutic plants would be the best source to acquire an assortment of medicines. About 80% of people from all over the World utilize customary prescriptions, which has compounds derived from therapeutic plants. Medicinal plants are rich source anti-microbial compounds. An extensive variety of therapeutic plant separates are utilized to treat several diseases as they have potential antimicrobial action. A portion of these bioactive compounds are screened and exchanged in markets as crude material for numerous pharmaceutical industries . The screening of plants for antimicrobial properties has demonstrated that the higher plants represent a potential source of novel antibiotic prototypes. There has been an increasing frequency of resistance in human pathogenic microorganisms, lately, to a great extent because of aimless utilization of synthetic antimicrobial medications often used in the treatment of infectious diseases. This has constrained researcher to seek for new antimicrobial substances from the therapeutic plants [2,3]. Specialists turned their focus back towards acquiring points of interest from therapeutic plants after observing more side effects of synthetic drugs contrasted with their advantages . Today the pharmacologically active ingredients of many ayurvedic medicines have been distinguished, and their value in drug therapy is being resolved. It is generally evaluated that of the found 17,000 species, about 3,000 species are utilized in the therapeutic field in India. The utilization of plant concentrates and phytochemicals, both with known antimicrobial properties, can be of extraordinary noteworthiness in remedial medicines. Over the most recent couple of years, examinations have led in various countries to demonstrate such proficiency. Numerous plants have been utilized due to their antimicrobial properties. In the present study, antibacterial effects of medicinal plants Dodonaea aungustifolia (L) and Clerodendrum phlomids (L) against Bacillus subtilis, Escherichia coli, Pseudomonas aeruginosa and Staphylococcus aureus were studied. Dodonaea angustifolia (L) is commonly called Viraali belongs to the family Sapindaceae. It is a shrub or small tree with narrow shiny pale green leaves with a distinctive small winged fruit. Dodonaea angustifolia contains secondary metabolites such as quinines, saponins, flavonoides, alkaloids, terpenoids, diterpenoids, phenols and essential oils. It possesses biological activities like analgesic, anti-bacterial, anthelmintic, anti-malarial, antipyretic effect and anti plasmodial activity. It is used to treat skin diseases, fever, sore throat, rhinitis, sinusitis and influenza [5-7]. Clerodendrum phlomidis (L) is commonly called Thaluthalai, Arani, belongs to the family Lamiaceae. A shrub widely distributed in tropical and subtropical regions of the world Shrubs. It is used to treat dysentery, dyspepsia, postnatal fever, stomachache, cholera, colic, measles, rheumatism, asthma and nervous debility, astringent and debility. The phytochemical screening of Clerodendrum phlomidis had shown the presence of terpenoids, phytosterols, flavonoids, phenols and tannins. It exhibits some biological activities such as anti-inflammatory, antidiabetic, antihypertensive and anticancer [8-10]. Keeping in this view the present study was undertaken to elucidate the antimicrobial activities of Dodonaea angustifolia and Clerodendrum phlomidis on Bacillus subtilis, Escherichia coli, Pseudomonas aeruginosa, and Staphylococcus aureus were studied in vitro. Dodonaea angustifolia (Figure 1) and Clerodendrum phlomidis (Figure 2) were collected from the surroundings of Piranmalai hills. Various extracts were prepared according to the methodology of Indian Pharmacopoeia and were used for the studies. The shade dried plants, leaves were pulverized to get a coarse powder. Since the solubility of the powdered extract is not known, its solubility was checked in different solvents with varying polarities . 100 g of powder was dissolved in solvents like methanol, ethanol, hexane and Ethyl acetate. Depending on the solubility, the extraction was carried out in the respective solvents and allowed to stand for two to three days. It was then filtered and allowed to settle. This extract was then used for anti-microbial studies. The anti-bacterial activity of Dodonaea angustifolia and Clerodendrum phlomidis were determined by agar well diffusion method. The extracts were applied to cultures of different bacterial strains including Escherichia coli, Staphylococcus aureus, Pseudomonas aeruginosa and Bacillus subtilis. Muller Hinton Agar (MHA) containing 2.0 g beef extract; 17.5 g casein hydrolysate; 1.5 g starch; 17.0 g agar was dissolved in 1 liter of distilled water. The pH was adjusted to 7.3 and was prepared and sterilized by autoclaving at 15 lbs pressure (121°C) for 15 minutes. The plates were prepared and after cooling, the test organisms containing 1.5 × 108 cfu/mL were inoculated. The culture was evenly spread on the plate and five wells were made using a cork borer. Each well was loaded respectively with 150 μg, 300 μg, 450 μg and 600 μg sample and 330 μg of Tetracycline dissolved in 1 ml of 10% DMSO was used as thepositive control. The plates were incubated for 24 h at 37°C. The development of inhibition zone around the well was measured (diameter) and recorded [12-14]. All the data obtained in the present study were statistically analyzed using the statistical software SPSS version 16.0. Statistical analysis of the data were carried out using Student's t-test and the results were considered significant when P<0.05. Values are expressed as mean ± SD of triplicates. The antimicrobial activity of plant extracts have been perceived for long time and this property has shaped the premise of numerous applications including crude and processed food preservation, pharmaceuticals, alternative medicine and natural therapies. Traditional systems of medicines in developing countries utilize a wide assortment of natural products in the combat of common infections . Secondary metabolites in plant products are responsible for several biological activities in living systems. Antimicrobial properties of several plant extracts have been attributed to the secondary metabolites. Pharmaceutical and scientific communities have recently received the attention of the medicinal plants, and various publications have documented the therapeutic worth of natural compounds to validate the claims of their biological activity . In the present study antimicrobial activities of Dodonaea angustifolia and Clerodendrum phlomidis on Bacillus subtilis, Escherichia coli, Pseudomonas aeruginosa and Staphylococcus aureus were studied using Agar well diffusion method. From the anti-microbial activities, it was found that the different solvent extracts of Dodonaea angustifolia and Clerodendrum phlomidis showed a varied level of anti-microbial activity. Hexane extract of D. angustifolia showed inhibitory effects for all the microbes at all the concentrations. Zone of inhibition was observed for all the microbes in this study. Ethyl acetate, ethanol and methanol extract of D. angustifolia showed the antibacterial activity against E. coli, S. aureus, P. aeruginosa and B. subtilis. Maximum zone of inhibition was observed at 450 μg and 600 μg (Tables 1-4 and Figures 3-8). Antibacterial activity of Dodonaea viscosa leaf extracts of methanolic, n-hexane, dichloro methane and ethyl acetate are effective against Staphylococcus aureus, Bacillus subtilis, Staphylococcus faecalis, and Streptococcus pyogens and E. coli were reported by Rao . Similarly, Dodonaea viscosa ethanol extracts exhibited anti-bacterial activity against some pathogenic bacteria was recorded by Orpin et al. . Crude extracts of Ergenia ciliata, Jasminum officinale and Santalum album showed anti-bacterial activity on Staphylococcus aureus, Bacillus subtilis, Proteus vulgaris, Pseudomonas aeruginosa, and Escherichia coli using agar well diffusion method was reported by Khan et al. . The hexane extract of Clerodendrum phlomidis showed inhibitory activity in all different concentrations in the present study against all the four microbes. The maximum of zone of inhibition was for P. aeruginosa (20 mm) followed by the other three microbes (18 mm) each. Similarly, ethyl acetate extract of Clerodendrum phlomidis inhibited the acivity of E. coli (18 mm), S. aureus (19 mm), P. aeruginosa (18 mm) and B. subtilis (19 mm) at different concentrations. Likewise, the Ethanolic extract of Clerodendrum phlomidis showed inhibitory activity against all the four bacteria under study in all different concentrations except for B. subtilis in the lowest concentration 150 μg. The methanolic extracts of Clerodendrum phlomidis have no inhibitory effects at any concentration on any of test organisms (Tables 5-8 and Figures 9 and 10). Antibacterial activity of different solvent extracts of Dodonaea angustifolia and Clerodendrum phlomidis were statistically significant (P<0.05). Likewise, Sathish  reported Clerodendrum phlomidis is important medicinal plant as its ethanol, petroleum ether, ethyl acetate and chloroform root extracts showed good antimicrobial activity against some pathogenic bacteria. Ethanolic root extract of Clerodendrum infortunatum showed maximum zone of inhibition against Staphylococcus aureus was observed . Also the ethylacetate and ethanol root extracts of Clerodendrum phlomidis exhibited the anti-bacterial activity against Staphylococcus aureus and B. subtilis. Samy and Ignacimuthu  tested 30 Indian folklore medicinal plants used by traditional healers for antimicrobial activity. Our results were in accordance with Duraipandiyan et al. assessed antimicrobial activity of eighteen Indian plant extracts that are used in folkloremedicine in the treatment of skin diseases, venereal diseases, respiratory problems and nervous disorders against nine bacterial strains (Bacillus subtilis, Staphylococcus aureus, Staphylococcus epidermidis, Enterococcus faecalis, Escherichia coli, Klebsiella pneumoniae, Pseudomonas aeruginosa and Proteus vulgaris). Figure 3: Anti-bacterial activity of Hexane extract of D. angustifolia on E. coli, S. aureus, B. subtilis and P. aeroginosa. 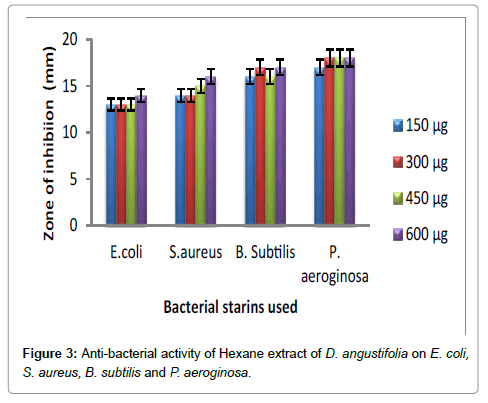 Figure 4: Anti-bacterial activity of ethyl acetate extract of D. angustifolia on E.coli, S. aureus, B. subtilis and P. aeroginosa. 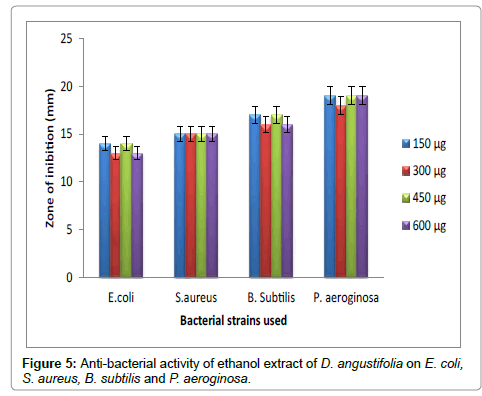 Figure 5: Anti-bacterial activity of ethanol extract of D. angustifolia on E. coli, S. aureus, B. subtilis and P. aeroginosa. 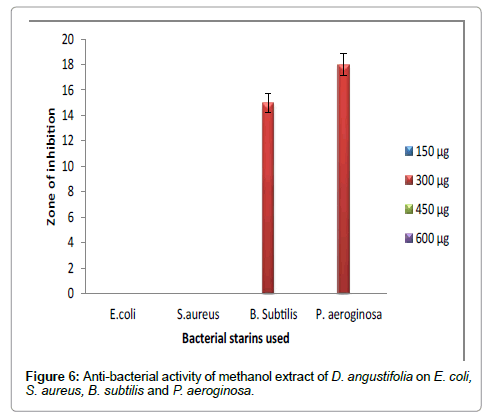 Figure 6: Anti-bacterial activity of methanol extract of D. angustifolia on E. coli, S. aureus, B. subtilis and P. aeroginosa. Figure 7: Anti-bacterial activity of hexane extract of C. phlomidis on E. coli, S.aureus, B. subtilis and P. aeroginosa. 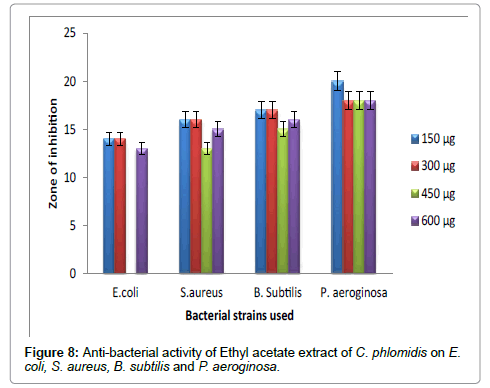 Figure 8: Anti-bacterial activity of Ethyl acetate extract of C. phlomidis on E.coli, S. aureus, B. subtilis and P. aeroginosa. 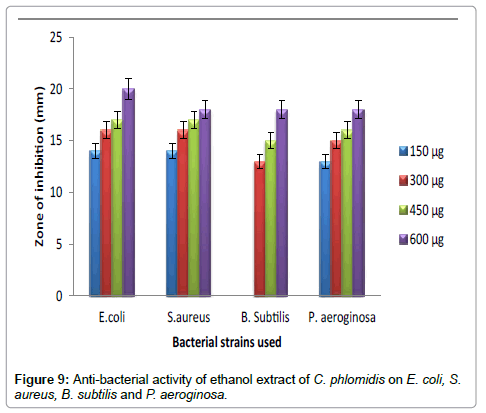 Figure 9: Anti-bacterial activity of ethanol extract of C. phlomidis on E. coli, S.aureus, B. subtilis and P. aeroginosa. Figure 10: Anti-bacterial activity of methanol extract of C. phlomidis on E.coli, S. aureus, B. subtilis and P. aeroginosa. Table 1: Anti-bacterial activity of Hexane extract of D. angustifolia on E. coli, S. aureus, B. subtilis and P. aeruginosa. Table 2: Anti-bacterial activity of ethyl acetate extract of D. angustifolia on E. coli, S. aureus, B. subtilis and P. aeruginosa. Table 3: Anti-bacterial activity of ethanol extract of D. angustifolia on E. coli, S. aureus, B. subtilis and P. aeruginosa. Table 4: Anti-bacterial activity of methanol extract of D. angustifolia on E. coli, S. aureus, B. subtilis and P. aeruginosa. Table 5: Anti-bacterial activity of hexane extract of C. phlomidis on E. coli, S. aureus, B. subtilis and P. aeruginosa. Table 6: Anti-bacterial activity of Ethyl acetate extract of C. phlomidis on E. coli, S. aureus, B. subtilis and P. aeruginosa. Table 7: Anti-bacterial activity of ethanol extract of C. phlomidis on E. coli, S. aureus, B. subtilis and P. aeruginosa. Table 8: Anti-bacterial activity of methanol extract of C. phlomidis on E. coli, S. aureus, B. subtilis and P. aeruginosa. Ethanol extract of Dodonaea angustifolia and Clerodendrum phlomidis showed maximum zone of inhibition compare to other solvent extracts. Antibacterial activity of different solvent extracts of Dodonaea angustifolia and Clerodendrum phlomidis were statistically significantly (P<0.05). Several studies indicated that extracts from different plant species exhibited better activities on Gram-positive bacteria than on Gramnegative bacteria while some studies reported that P. aeruginosa and E. coli were also sensitive to extracts of some medicinal plants. These sensitivity differences between Gram-positive and Gram-negative bacteria to the extract of different medicinal plants might be due to the structural and compositional differences in membranes between the two groups. Indeed, Gram-negative bacteria are more resistant to antibiotics because they possess impermeable outer membrane; consequently, the levels of antibiotics in the cell are reduced [24-26]. Calsamiglia et al. opined that the cell membrane of Gram-positive bacteria, which can interact directly with hydrophobic compounds of essential oils whereas, the external cell wall around the cell membrane of Gram-negative bacteria is hydrophilic and blocks the penetration of hydrophobic oil and avoids the accumulation of essential oils in target cell membrane. Also, this medicinal plant Dodonaea angustifolia and Clerodendrum phlomidis possesses some phytochemicals like alkaloid, flavonoid, tannins and phenols. Studies indicated that the alkaloids, tannins and phenols exhibit bactericidal and decreasing viability of gram positive and gram negative bacteria through penetrates reconstituted lipopolysaccharide monolayers, causes depolarization of the cytoplasmic membrane, increases bacterial staining with the cell impermeable nucleic acid dye propidium iodide and causes leakage of cytoplasmic contents [28-30]. The possible reason for highest antibacterial activities due to the presence of phytochemicals and their synergistic effects in medicinal plants against pathogenic bacteria . This study has revealed that the medicinal plants Dodonaea angustifolia and Clerodendrum phlomidis possess potentially antimicrobial properties against Bacillus subtilis, Escherichia coli, Pseudomonas auergonisa and Staphylococcus aureus. Further work is needed to isolate the active compounds and could be used in the development of novel antibacterial agents. The results obtained in the present study, medicinal plants Dodonaea angustifolia and Clerodendrum phlomidis possesses antimicrobial properties. Therefore, there is need for further evaluation of the purified bioactive components of the plant extracts that can be exploited as new potent raw materials for the manufacture of herbal drugs and antimicrobial agent’s productions. Renisheya JJ, Johnson M, Mary UM, Arthy A (2011) Antibacterial activity of ethanolic extracts of selected medicinal plants against human pathogens. Asian Pacific Journal of Tropical Biomedicine 1: S76-S78. Akinyemi KO, Oluwa OK, Omomigbehin EO (2006) Antimicrobial activity of crude extracts of three medicinal plants used in south-west Nigerian folk medicine on some food borne bacterial pathogens. African Journal of Traditional, Complementary and Alternative Medicines 3: 13-22. Bialonska D, Ramnani P, Kasimsetty SG, Muntha KR, Gibson GR, et al. (2010) The influence of pomegranate by-product and punicalagins on selected groups of human intestinal microbiota. International Journal of Food Microbiology 140: 175-182. Karimi A, Majlesi M, Rafieian-Kopaei M (2015) Herbal versus synthetic drugs; beliefs and facts. Journal of Nephropharmacology 4: 27-30. Amabeoku GJ, Eagles P, Scott G, Mayeng I, Springfield E (2001) Analgesic and antipyretic effects of Dodonaea angustifolia and Salvia africana-lutea. Journal of Ethnopharmacology 75: 117-124. Vermani K, Garg S (2002) Herbal medicines for sexually transmitted diseases and AIDS. Journal of Ethnopharmacology 80: 49-66. Amelo W, Nagpal P, Makonnen E (2014) Antiplasmodial activity of solvent fractions of methanolic root extract of Dodonaea angustifolia in Plasmodium berghei infected mice. BMC Complementary and Alternative Medicine 14: 462. Nadkarni AK (1976) Indian Materia Medica. Popular Prakashan. Bombay. Khare CP (2007) Indian medicinal plant. Springer Publication, p: 160. Chirmade D, Chirmade H, Gawli S (2016) Clerodendrum phlomidis (arni), eminent source of phytochemicals. 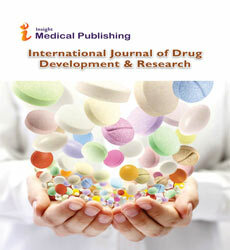 Indo American Journal of Pharmaceutical Research. Harborne AJ (1998) Phytochemical methods a guide to modern techniques of plant analysis. Springer Science & Business Media. Li H, Qing C, Zhang Y, Zhao Z (2005) Screening for Endophytic Fungi with Antitumour and Antifungal Activities from Chinese Medicinal Plants: World Journal of Microbiology and Biotechnology 21: 1515-1519. Zhou JS, McClean A, Thompson Y, Zhang C, Shaw P, et al. (2006) Purification and characterization of novel antimicrobial peptides from the skin secretion of Hylarana guentheri. Peptides 27: 3077-3084. Zhang YJ, Mu Y, Feng Y, Kang J, Zhang PJ, et al. (2009) Broad-spectrum antimicrobial epiphytic and endophytic fungi from marine organisms: isolation, bioassay and taxonomy. Marine Drugs 7: 97-112. Suganya S, Bharathidasan R, Senthilkumar G, Madhanraj P, Panneerselvam A (2012) Antibacterial activity of essential oil extracted from Coriandrum sativam (L.) and GC-MS analysis. Research Journal of Science and Technology. Jaiganesh KP, Arunachalamb G (2011) Preliminary phytochemical screening and antimicrobial potential of Pterospermum canescens roxb, (Sterculiaceae). Int J Pharm Pharm Sci 3: 139-141. 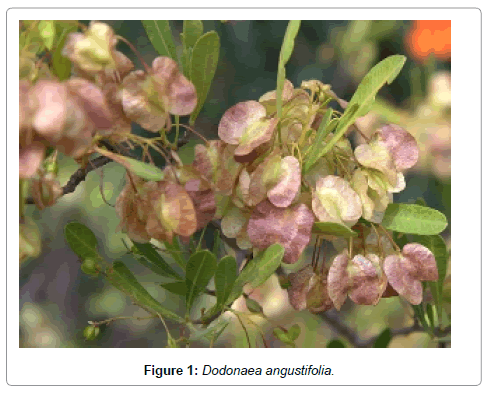 Mrutyunjaya Rao K, Ramakrishna R, Ashapriya M (2015) Antibacterial activity of different crude extracts of Dodonaea viscosa. Journal of Chemical and Pharmaceutical Research 7: 350-355. Orpin JB, Bem AA, Inuwa A (2018) Antibacterial effect of Dodonea viscosa (hop bush) leaf extract in some enterobacteriaceae. Adv Plants Agric Res 8: 213-217. Khan UA, Rahman H, Niaz Z, Qasim M, Khan J, et al. (2013) Antibacterial activity of some medicinal plants against selected human pathogenic bacteria. European Journal of Microbiology & Immunology 3: 272-274. Sathish M, Priyadarsini R, Sunitha PG, Saraswathy T (2013) Antimicrobial activity of the extracts and isolated compounds of Clerodendrum phlomidis. Int J Pharm Pharm Sci 5: 362-366. 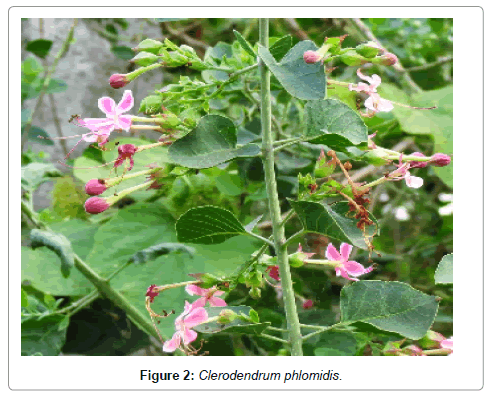 Varsha DH, Sonali DS (2015) Evaluation of antibacterial activity in Clerodendrum phlomidis linn. and clerodendrum infortunatum linn. 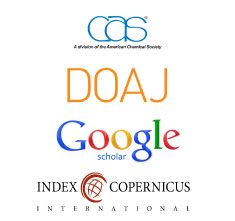 International Journal of Researches in Biosciences, Agriculture and Technology 6: 146-150. Samy RP, Ignacimuthu S (2000) Antibacterial activity of some folklore medicinal plants used by tribals in Western Ghats of India. Journal of Ethnopharmacology 69: 63-71. Duraipandiyan V, Ayyanar M, Ignacimuthu S (2006) Antimicrobial activity of some ethnomedicinal plants used by Paliyar tribe from Tamil Nadu, India. BMC Complementary and Alternative Medicine 6: 35. Gebremedhin R, Birhanu A, Tsegaye HG, Hailelule A, Gebreyohans G (2018) Antibacterial Activities of Five Medicinal Plants in Ethiopia against Some Human and Animal Pathogens. Evidence-Based Complementary and Alternative Medicine, p: 10. Bockstael B, Van Aerschot A (2009) Antimicrobial resistance in bacteria. Central European Journal of Medicine 4: 141-155. Lambert L (2002) Cellular impermeability and uptake of biocides and antibiotics in Gram-positive bacteria and mycobacteria. Journal of Applied Microbiology 92: 46S-54S. Calsamiglia M, Busquet PW, Cardozo L, Castillejos, Ferret A (2007) Invited Review: Essential oils as modifiers of rumen microbial fermentation. Journal of Dairy Science 90: 2580-2595. Mohamed SSH, Hansi PD, Kavitha T (2010) Antimicrobial activity and phytochemical analysis of selected Indian folk medicinal plants. Int J Pharma Sci Res 1: 430-434. Mehrangiz KK, Seyed AE, Masoud SG, Esmaeel AS, Amirhossein S (2011) Antiviral activities of aerial subsets of Artemisia species against Herpes Simplex virus type 1 (HSV1) in vitro. Asian Biomed 5: 63-68. Cushnie TPT, Cushnie B, Lamb AJ (2014) Review Alkaloids: an overview of their antibacterial, antibiotic-enhancing and antivirulence activities. Int J Antimicrob Agent 44: 377-386. Oroojalia F, Kermanshshi RK, Azizi M, Bassami MR (2010) Phytochemical composition of the essential oils is assessed on several food-borne pathogens. Food Chem 120: 765-770.